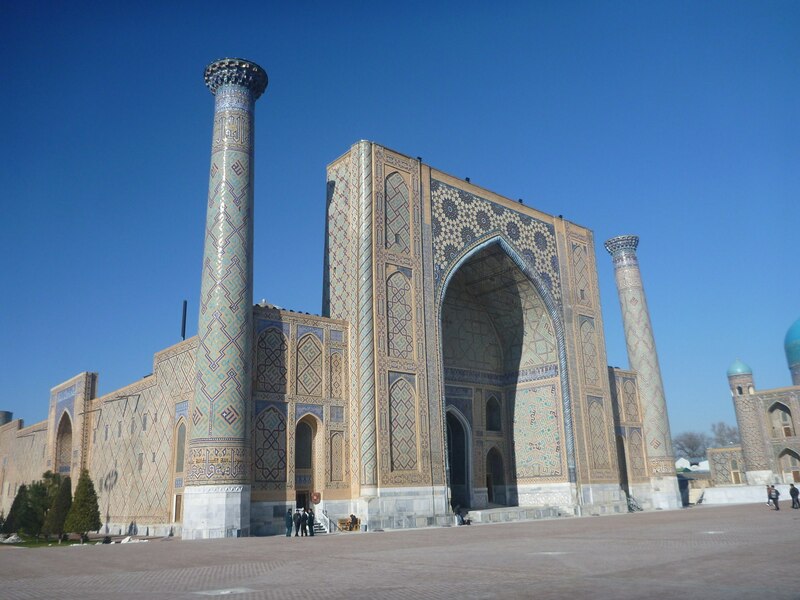 The very name of “Samarkand” in Uzbekistan rings through travellers ears and they think of sparkling architecture and striking images they have seen from professional photographers the world over. While all of that is true, we missed the point somehow. Samarkand is not about touristic spots, it is a normal, fully-functioning and thriving city and should be seen as that, not solely as some glorious touristic gem dreamt up by a series of photographers brandishing heavy and expensive cameras left right and middle at buildings they know nothing about. Or not, perhaps it was me that missed the point. Let’s get to the heart of this city’s history. 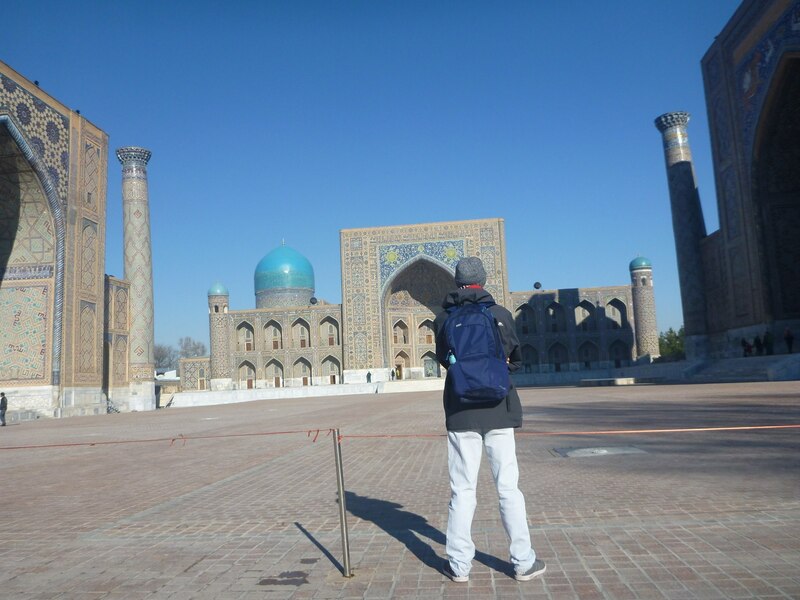 Kebab joints, flashy boulevards, swanky hotels and leafy gardens actually give Samarkand City a substance away from the turquoise domes and concrete minarets that dominate a pleasantly low skyline. With all this in mind though, I did the most touristic thing I could and toured the buildings that photographers photograph too often. 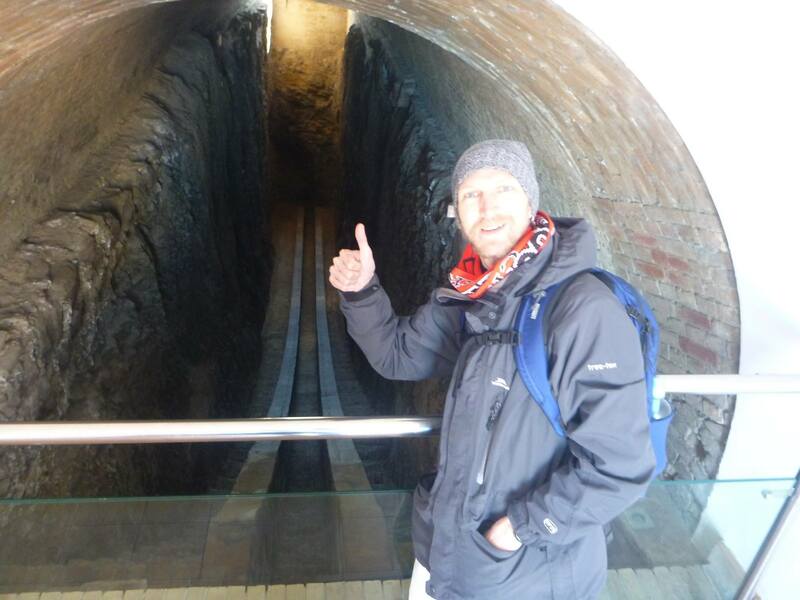 BUT I decided on a guided tour – I wanted to know what the buildings were all about. I was expecting of course floods of Chinese, German and United States tourists to be joining me taking selfies. That didn’t happen. It was just me. Where is everybody? 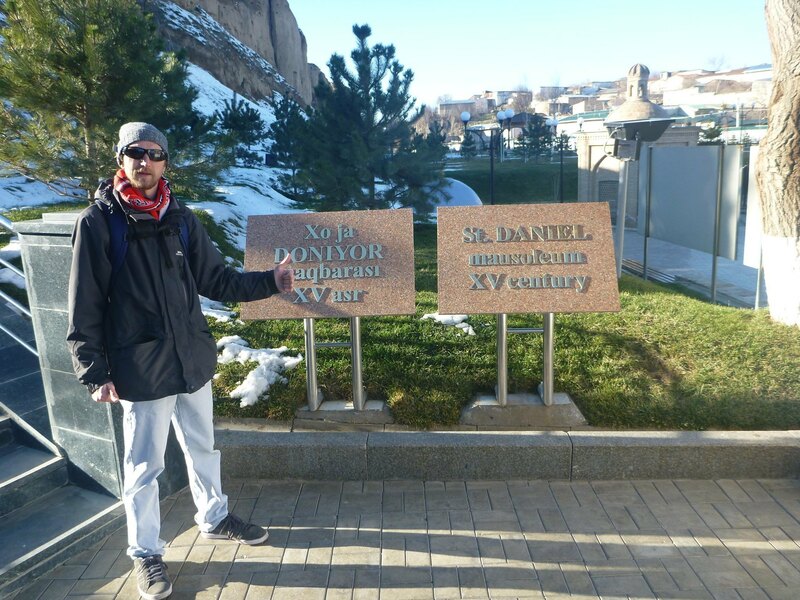 In fact, for my entire day tour in February 2016, I was the only non-Asian tourist at every place we went. Perhaps it’s the winter that puts people off, perhaps it’s the long winded and ridiculous Letter of Invitation and Visa applications? Perhaps it’s the military dictatorship delicately disguised as democracy. 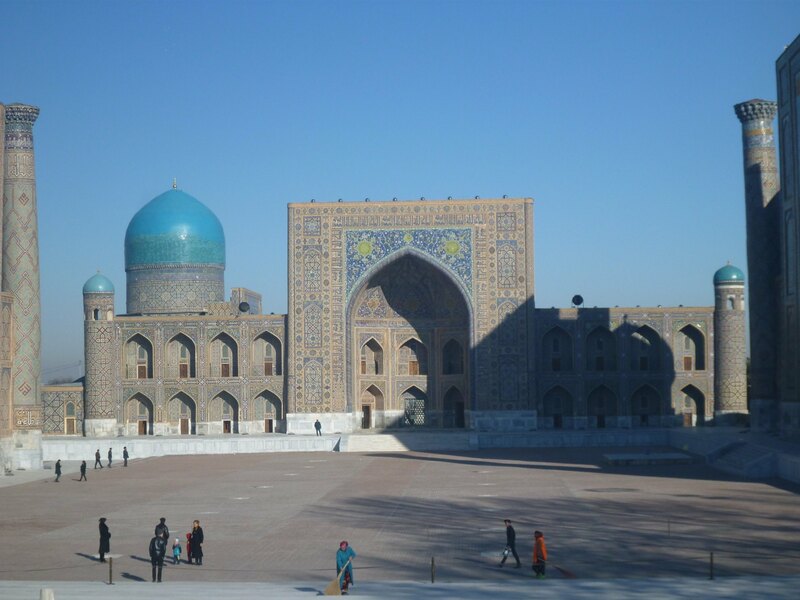 Credit where credit is due here, Samarkand mixes new and old, young and ancient, modern and historic, Uzbek with USSR and all that came before and after. 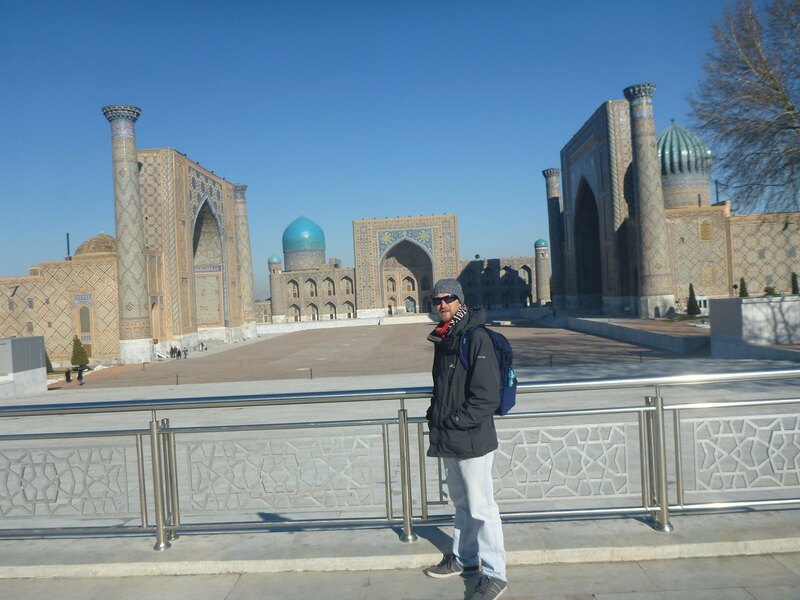 Uzbeks have a raw, unchangeable demeanour however, stuck in their ways, proud of any aspect of their culture and adapting to change when needed rather than welcoming it full frontal. 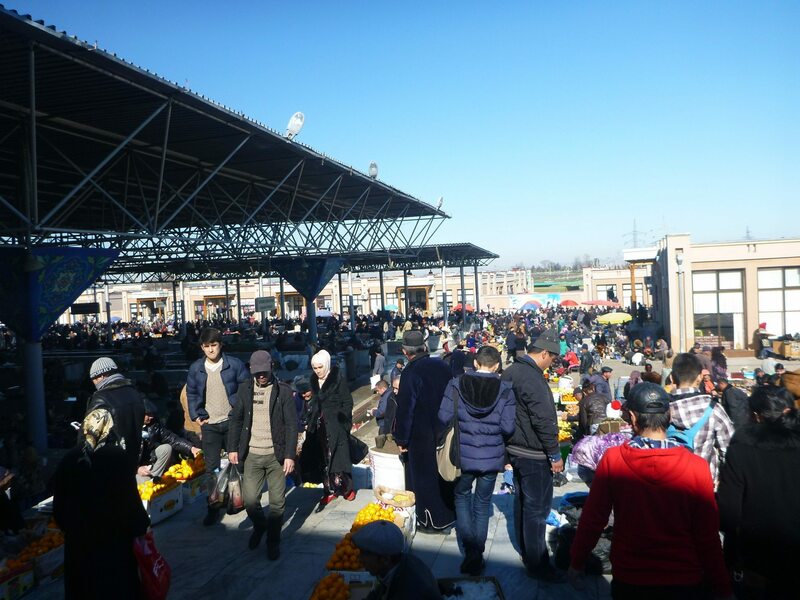 From the border guards to the potato sellers, the attitude is noticeably internal. 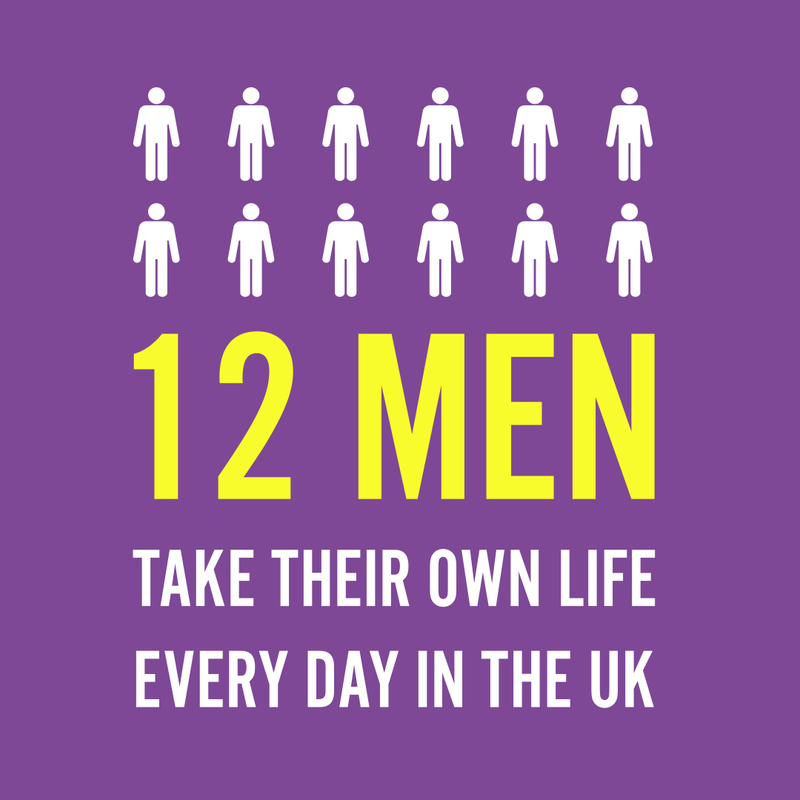 Without the illusion of democracy, this is a military dictatorship at its best. PayPal is banned, YouTube is notoriously slow, people have never heard of Amazon and they seem way too concerned about border safety near Tajikistan and Afghanistan to revel in their own glory. 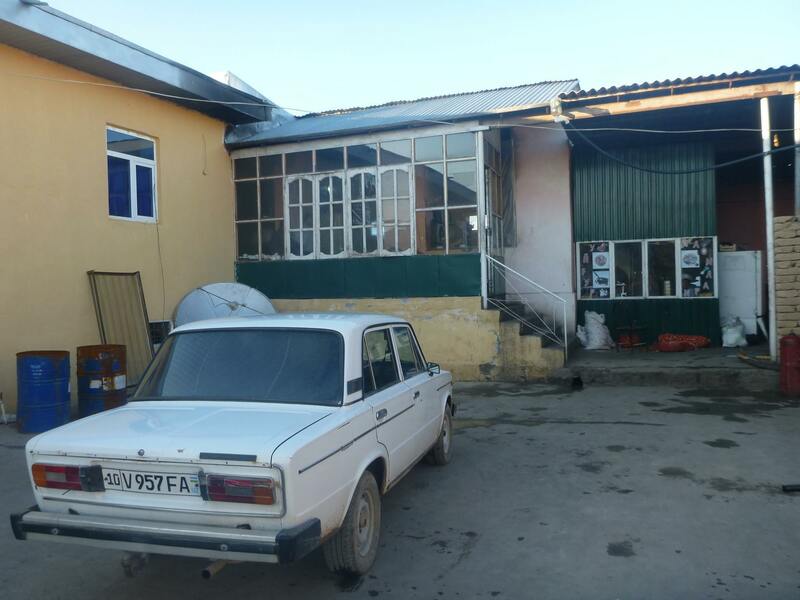 Uzbekistan – military dictatorship in Ladas. 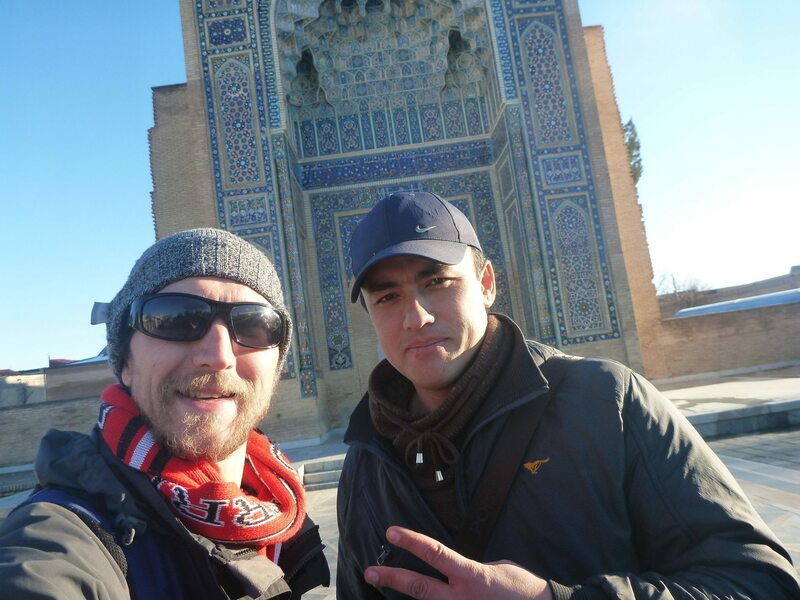 So to get to the heart of Samarkand City I teamed up with Marco Polo tours and got a minted insight into probably the most touristic city in Central Asia, and certainly one I didn’t want to miss. 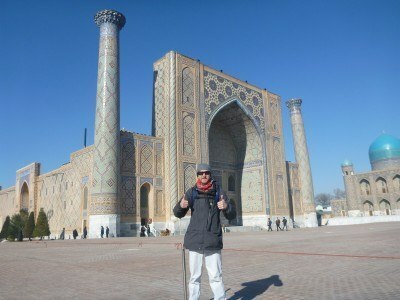 But being the only tourist in the most touristic spot was brilliant. Because there were no other tourists, it seems a bit ridiculous to call it touristic but it was and I was the tourist. 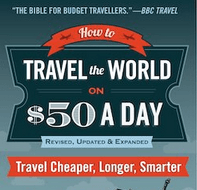 You can be the only tourist too! Before all of this of course, it was a stressful process. 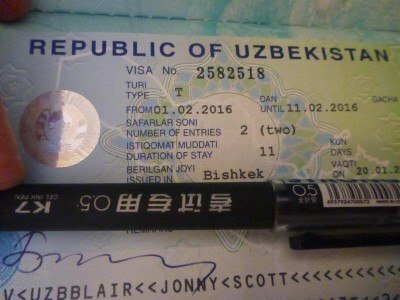 I had to get my letter of invitation to visit Uzbekistan, my Uzbekistan Visa in Bishkek and cross the strict border control between Tajikistan and Uzbekistan. I chose the Turganzade to Denau crossing. Once in Samarkand city, I plumped for the popular and centrally located Jahongir Bed and Breakfast. A really good spot to stay in! I was also the only one staying in Jahongir B and B. For five guesthouses in a row, I had the places to myself on this journey – amazing! With each company you can get a Tailor Made tour. I must admit, for once, I just went for the generic classic best of tour. 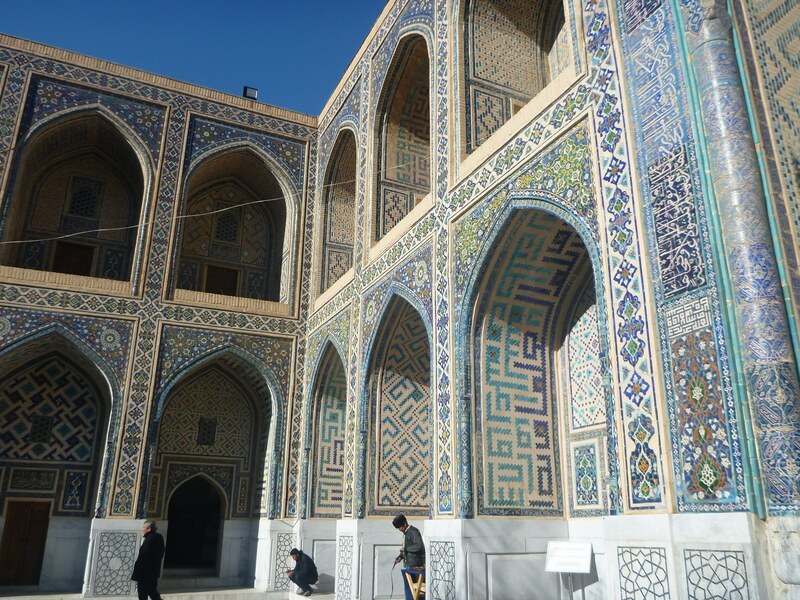 I only had two nights in Samarkand and I had a load of blogging and work to catch up on due to being offline in other parts, so I went for the Classic One Day Best of Samarkand tour. Everything (except meals) are included for the price (currently $55 US per person, or cheaper if you bulk it in a big group). 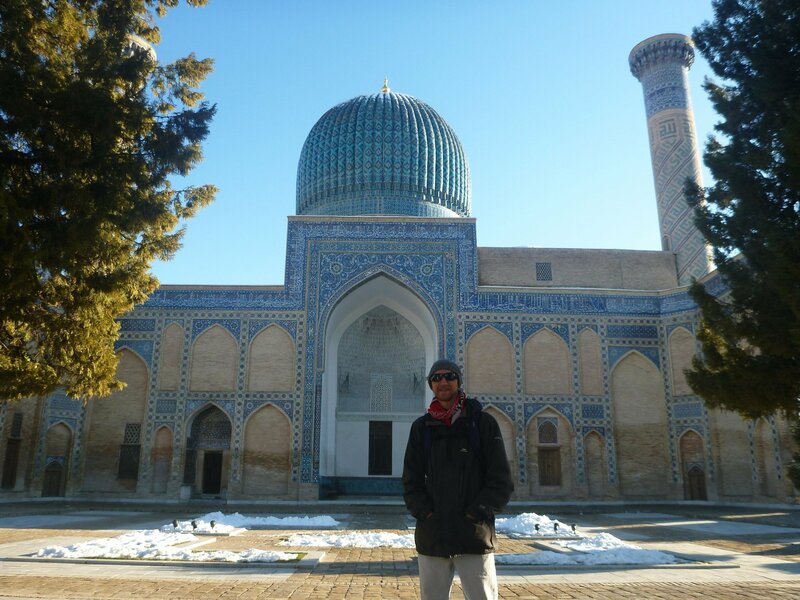 Please note that most of these sights have entrance fees to get inside, with the Registan Buildings costing $9 US per person. 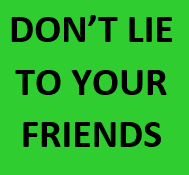 So if you do it alone, you’re forking out on entrance fees anyway. 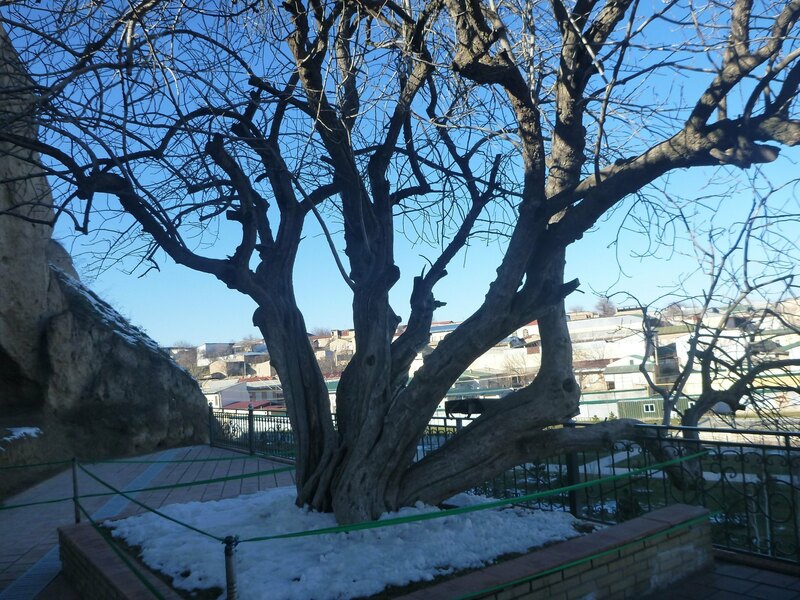 Here’s a full overview of all the stops on my tour, from the time my guide Ruslan met me at the Jahongir Bed and Breakfast, 10am on a sunny winter’s day. 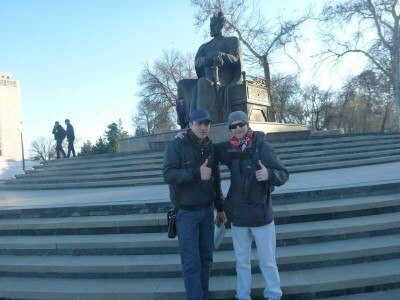 We started off in the famous central square, known collectively as the Registan. 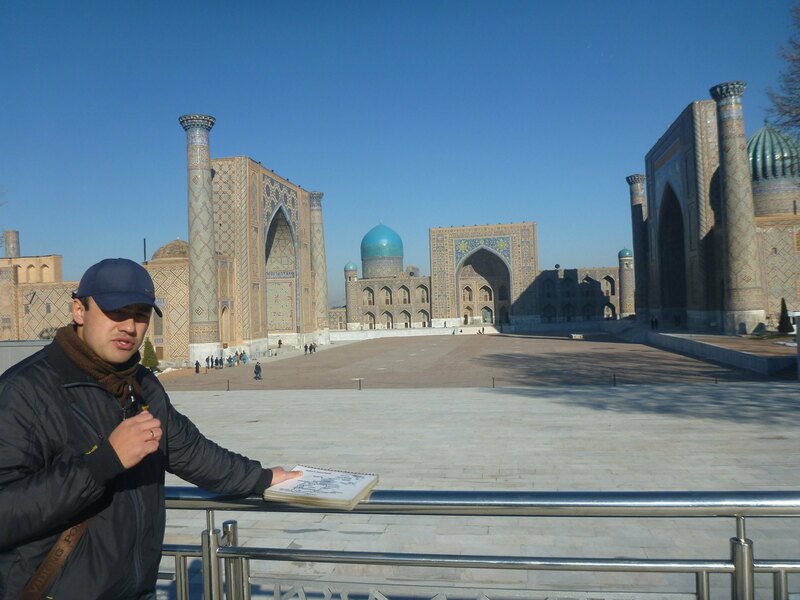 So our tour starts outside the “Registan hat-trick”, basically this central square is not just the pumping heart of Samarkand, or even of Uzbekistan. Or even of Central Asia. This is a central a point as the Silk Road gets. There are three obvious buildings here to check out. To kick things off, Ruslan talks about the three Medressas here. It’s all extremely detailed. 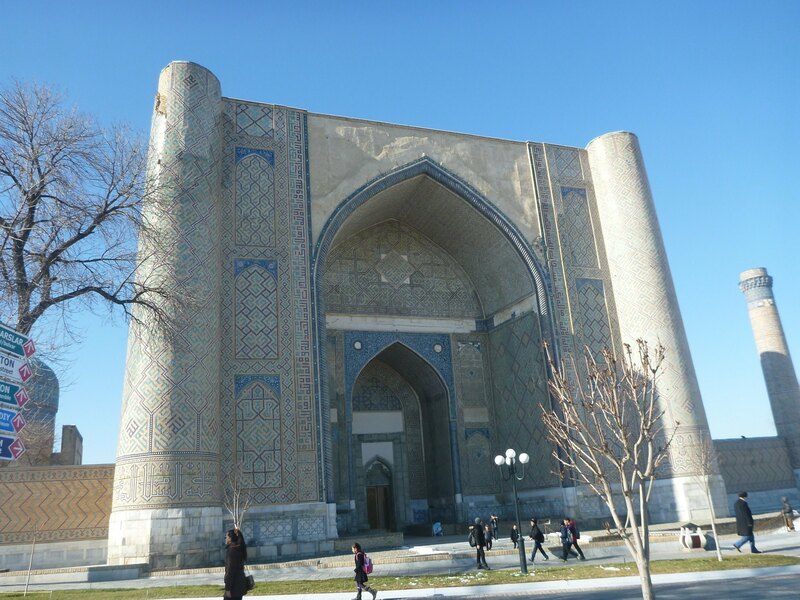 It was a gradual process – the Ulugbek Medressa was finished in 1420 and the minaret once collapsed so it had to be rebuilt, but it now tilts. Next up we go inside the Tilla-Kari Medressa. For me, this is the highlight in Registan as on the left there is the Friday Mosque. This Mosque can only be used on Fridays and the interior dome and most of the walls are covered in gold. 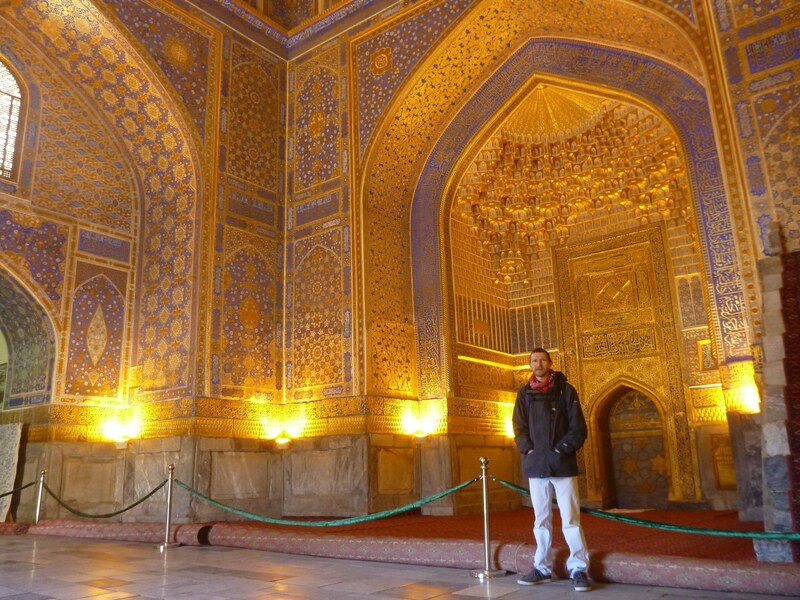 Quite simply, this Mosque is magnificent! 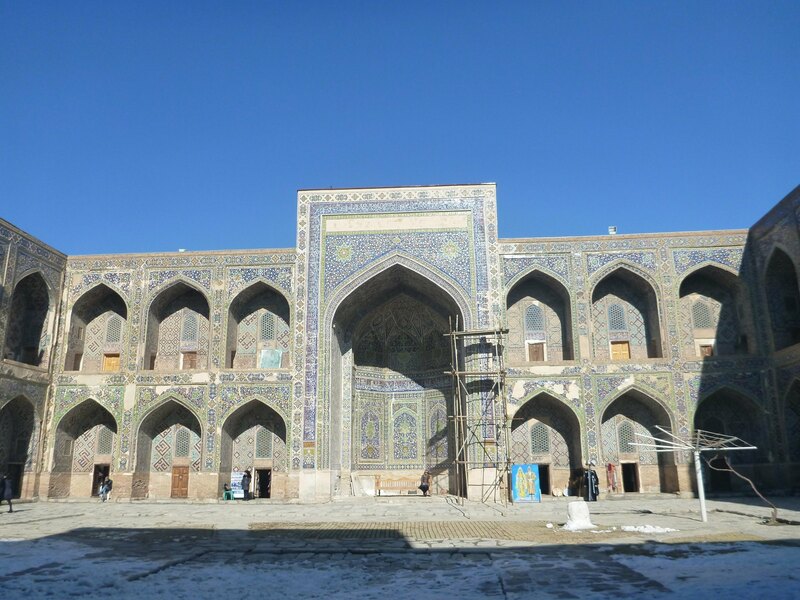 The last of the Registan hat-trick is also a Medressa and was used for teaching in, as well. A tiger/lion style image dominates the front of it. 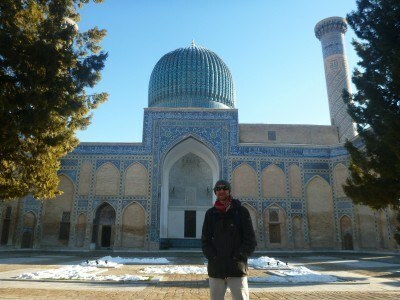 On the edge of the three Medressas at the Registan is a small building on the corner of the Tashkent Avenue. It’s an ancient trading dome building, now used as an art gallery. The Silk Road history comes to life here on a pedestrianised boulevard with leafy trees and modern shops. 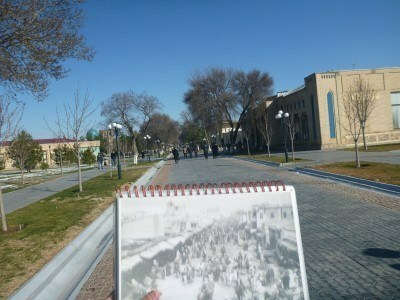 Here on Tashkent Street was where the trade beginnings were here. This street reminds me of downtown Pristina in Kosovo. A hotel looks out of place, the the street leads us down to the next few important sights in Samarkand’s history. 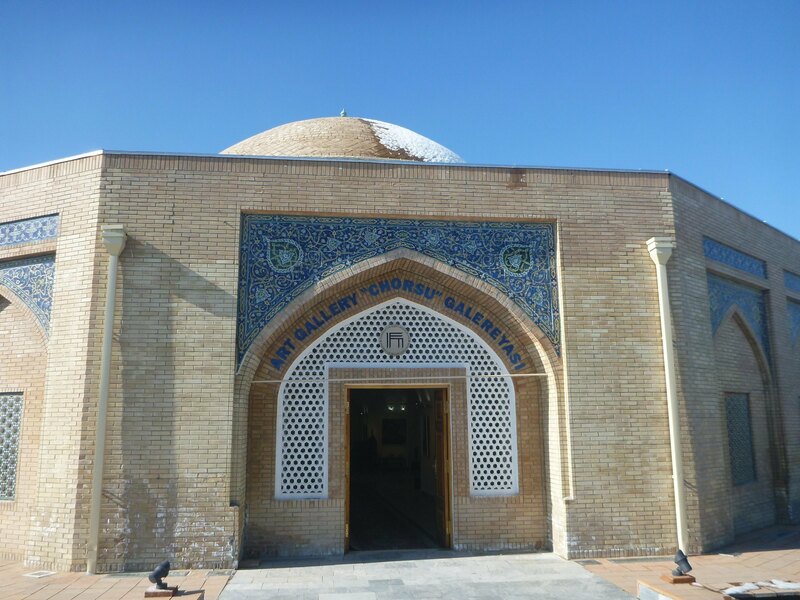 So I learn from my guide Ruslan all about Bibi Khanum. It’s extremely rare in Islamic culture for a Mosque and Mausoleum to be named after a female, but this one is. Bibi Khanum was Amir Temur’s wife. 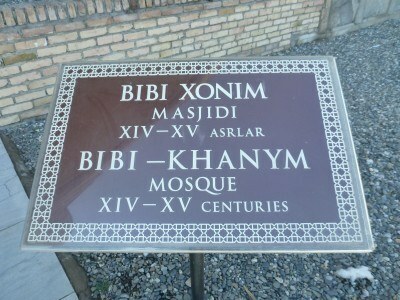 A Mosque with two names? 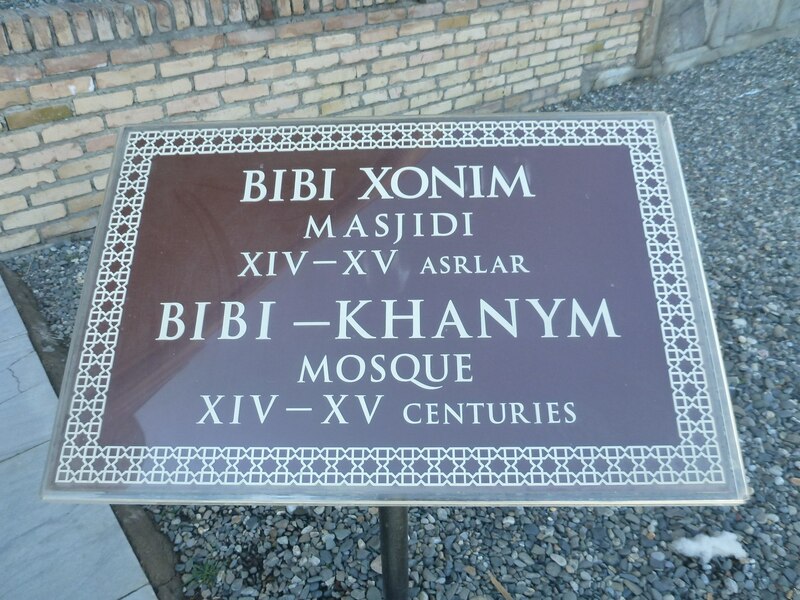 This ambiguously named building of prestige has more stories than most as far as Islamic Mosques go. I won’t spoil the stories, Ruslan beats them out to me and it’s intriguing. One more thing about this Mosque though, inside there is a massive book stand in concrete in the centre. Females believe if they walk round it three times, their dream to come pregnant will come true. I decided to give this a go with my own wish and oddly, the wish came true within a week. It was a bit eerie! You knew a bazaar would make the list – simply it has to, especially in a dominant Silk Road City like Samarkand. 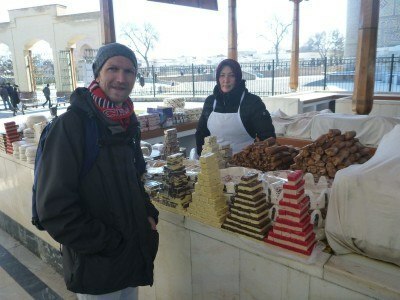 Samarkand’s Bazaar has lots of different sections to it. Part of it is modern, open plan and tidy, the rest of it is textbook Central Asian bazaar – scattered, chaotic, busy. You can get your money changed here on the black market, which you should do. 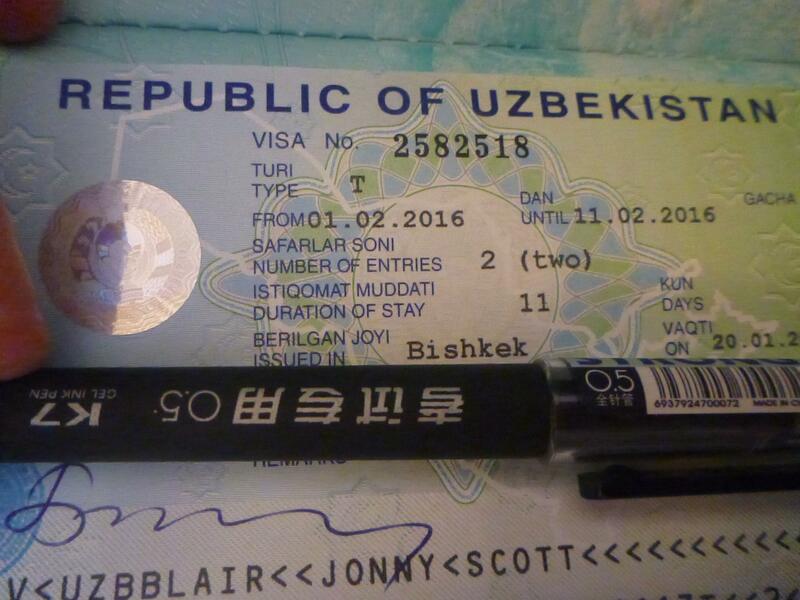 In Uzbekistan there is this crazy thing that black market money is 60% cheaper than money from the banks! While not essentially part of my tour, nor a place we veer into in detail, we walk past the old Jewish Quarter. I find this intriguing having toured Auschwitz in Poland in 2015 as well as the Jewish Quarter of Krakow. The Jews fled from Uzbekistan to Israel at various points, leaving behind just a few families, a Synagogue and some graveyards. 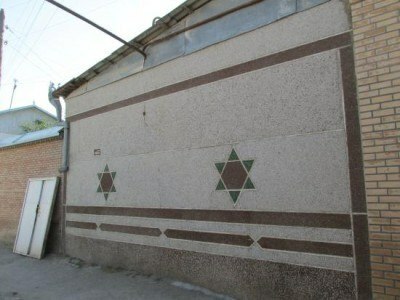 There is a Synagogue here but we don’t go inside. It can be hard to find. 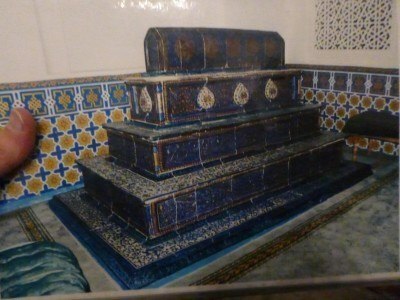 The Shakhi Zinda Ensemble is a Mausoleum and Graveyard complex. 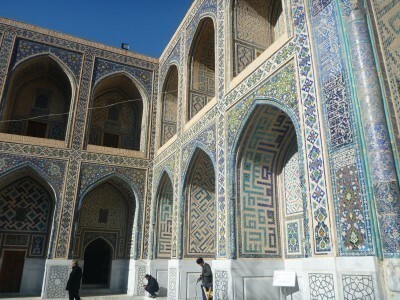 It has some pretty amazing looking buildings inside it. 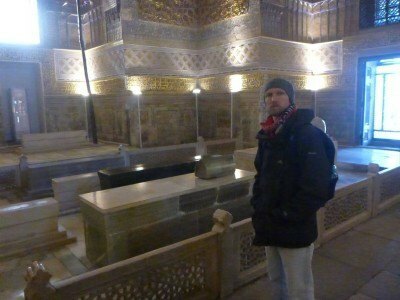 Again this is a very detailed day tour and Ruslan takes me through various different tombs within the complex. 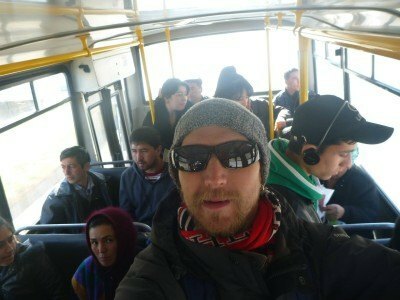 After touring the Shakhi Zinda Mausoleum complex, it’s a bus ride out to the next few sights. I didn’t expect an astronomy brief on this tour, but the bonus is you get one and you find out about another planet that exists. 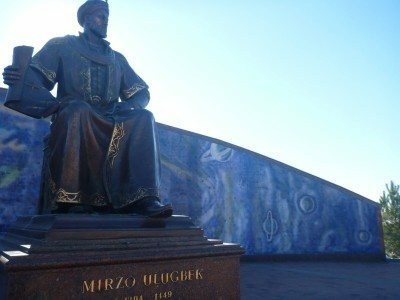 There is a statue of the famous Mirzo Ulugbek and a good viewpoint of the city. 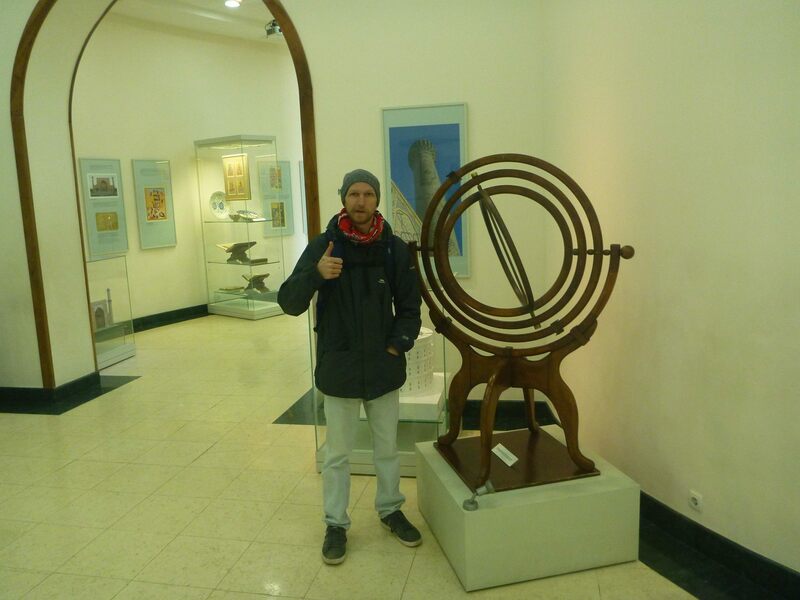 The museum here is also highly fascinating. It seems I’m bunging a lot into a day tour here, and it is pretty busy. You also have the option to do a similar tour over two days if you don’t want things to be rushed. You’ve heard of the story about Daniel in the Lions Den? 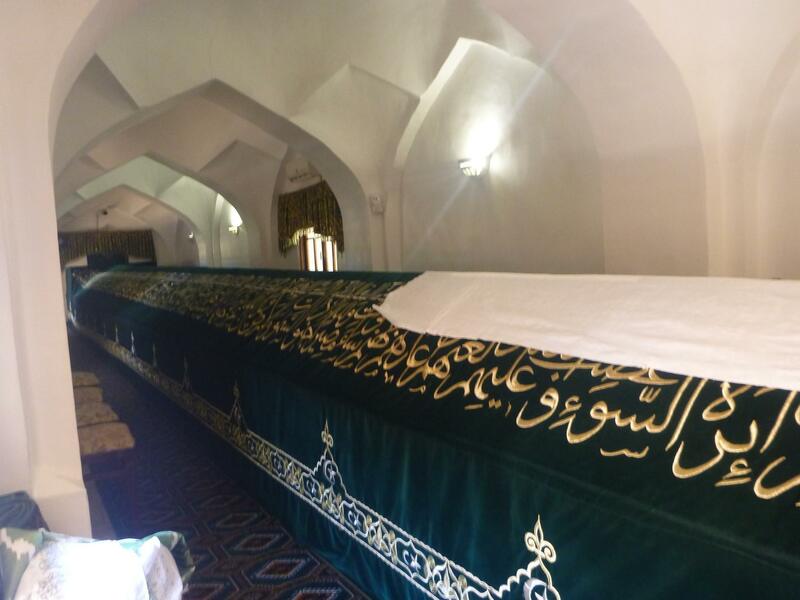 Well here at the Hazrati Daniyor Mausoleum is one of only four recognised graves of that exact Daniel in the world. This tomb, is a staggering 18 metres long, seriously odd when you see the size of this coffin. 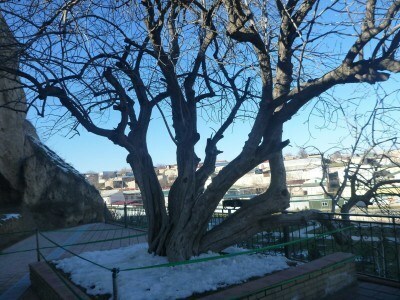 Near the Grave, a pistachio nut tree has become famous due to its growing of nuts year after year, except during times that are bad. It’s a sacred tree. 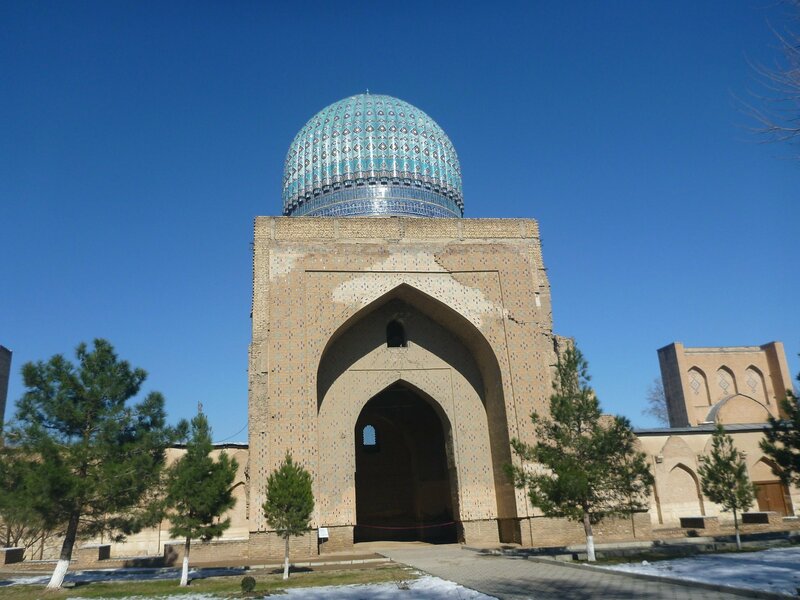 By including a hat-trick of mausoleums, this is far from a gory and sad tour – quite the opposite. These are elaborate tributes to legends in Uzbek history. The last of these is the famous man himself – Amir Temur. Temur is the man behind Smarkand’s intricate Islamic buildings. He created an empire in the region, being born in nearby Shakrisabz (a popular side trip, but I skipped it). 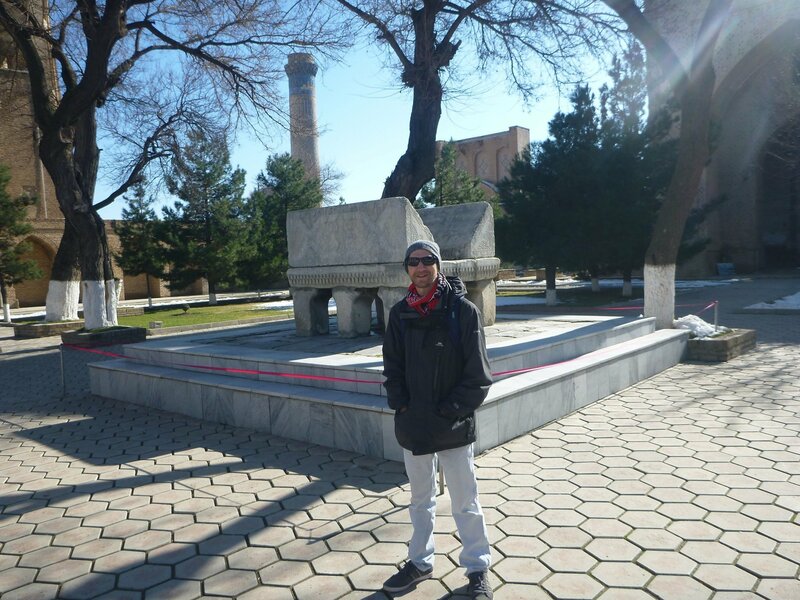 Again, Ruslan inundates me with stories including one of soldiers drinking pomegranate juice from a large bowl and inside the tomb itself, we see the tombstones of not just Amir Temur but also Mirzo Ulugbek. You might be surprised to learn that photography is permitted at all times on the tour, even in the tombs. 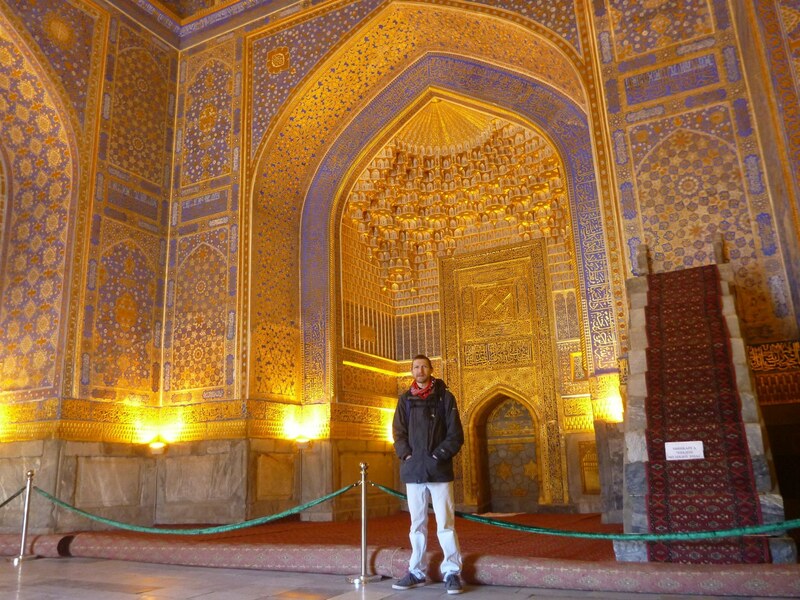 This was different to my time in Iran, where places like the Imam Reza shrine and parts of Tehran were not allowed to be photographed. A popular hang out for local teenagers to take selfies with, the Amir Temur statue sits proudly on a roundabout and corner connecting Registon Street to Bulvar Universitatet. This is a great way to round off the day tour. As you can tell we bunged 14 amazing sights into one extreme day of travel in Samarkand City. 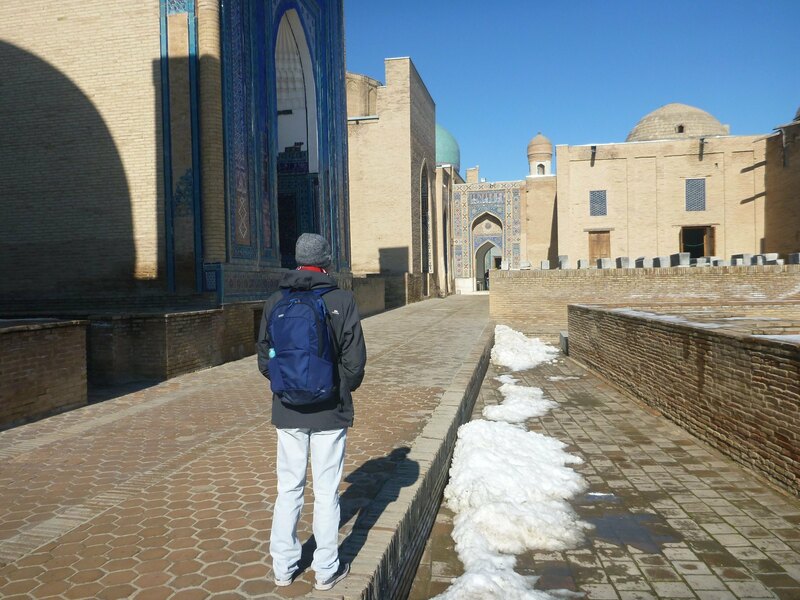 I’m so glad I did the tour and got to understand just why these buildings are here and why Samarkand earned the prestigious UNESCO World Heritage Site and nomination for 8th Wonder of the World. 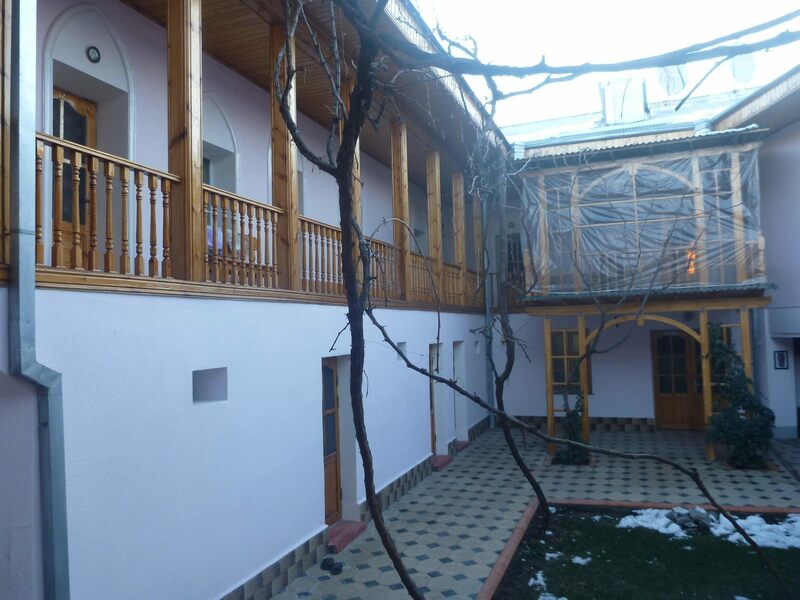 It’s a beautiful place, here are the details to get your tour booked. 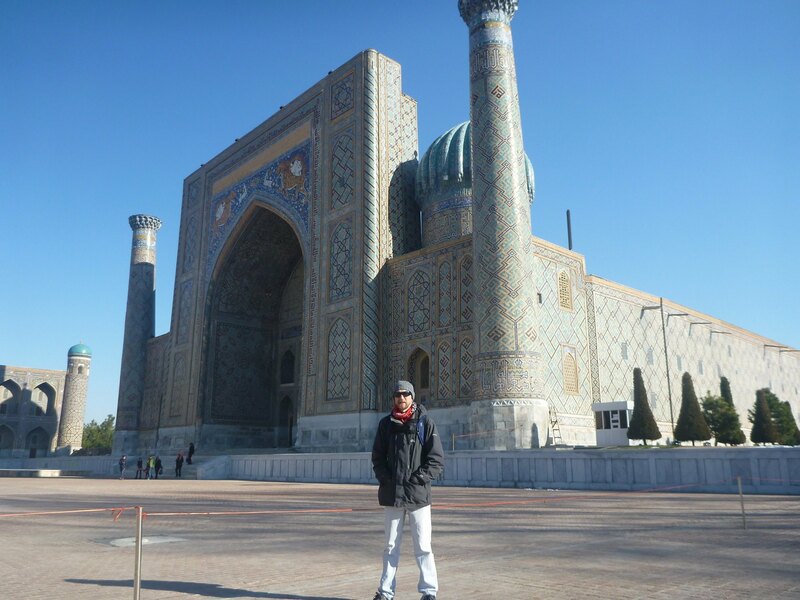 This entry was posted in Central Asia/Middle East, Samarkand, Uzbekistan. Bookmark the permalink. I’m shocked that they would let you photograph inside the tombs, as well, let alone let you inside of them!